Costa Rica Adventure Tours - Come have some fun! Are you ready for adventure? Costa Rica Adventure Tours are where all the fun is at. Costa Rica tours are some of the best in the world and you’r guaranteed to find a tour that will get your adrenaline pumping. Try rafting on the Pacuare River or zip lining in Monteverde or an ATV tour at the Arenal Volcano. And no need to worry! Talk to our travel experts and they will help you find the safest, reliable tours complete with bilingual guides dedicated to your safety. Keep reading to see more Costa Rica adventure tours! Manuel Antonio. Favorite. Adventure, Family Guide, Drinks, Meal, Transfer, Equipment. From Class IV whitewater rapids to zip-line tours that seem to defy gravity. The options will leave you breathless and ready to come back for more! Whether your holiday lasts one week or one month, try to include at least a couple of these tours for an exhilarating experience you will never forget. Here are the top 5 of Costa Rica Adventure Tours! Set against the backdrop of the mammoth Arenal Volcano. You’ll experience one of the wettest and wildest adventures on a waterfall rappelling tour. After receiving expert tips from your guides, you’ll feel like a pro in no time as you enjoy the region’s most picturesque rainforest canyons. One of the biggest cascades measures more than 200 feet high, offering huge thrills as you rappel down the face of the waterfall. Be sure to wear quick-dry clothes and leave your camera back at the hotel. The tour company’s professional photographer will capture your moments of glory! Known around the world for its frothy Class III and IV rapids, the Pacuare River is one of Costa Rica’s national treasures. 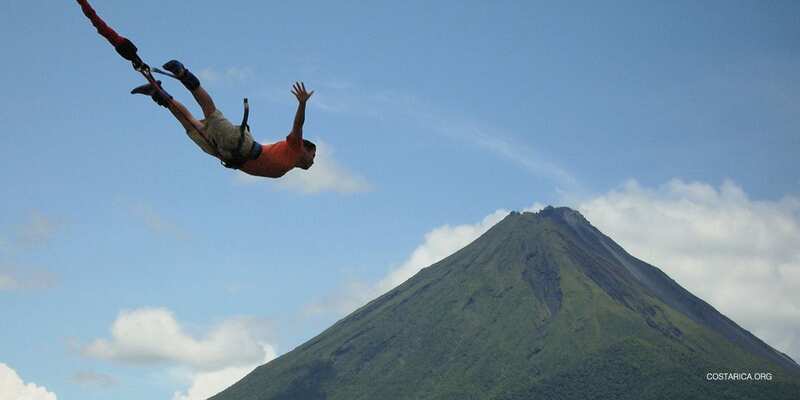 Talk about adventure- this is one of Costa Rica’s top adventure tours! Also, the beautiful river snakes through dense rainforest gorges, offering stunning views along with plenty of adrenaline-pumping action. Tours cater to travelers of all ages and abilities, so even the novice can enjoy its many challenges. Paddlers can opt for exciting one-day tours, or opt for a multi-day excursion that includes camping or eco-lodge accommodations. Tour operators offer roundtrip transport to and from San Jose, making this an excellent day trip with huge bragging rights. The water levels are highest (and most challenging) from May-October. One of the country’s most popular – and ubiquitous – adventures, canopy tours can be found in nearly every tourist destination. Some have you flying Superman-style, while others include Tarzan swings or free fall drops, but they all have one thing in common: undeniable fun! As you soar through clouds, over river gorges, and through the rainforest, you’ll see the canopy like never before. And seasoned guides will ensure safety is paramount at all times. Sky Trek has been a traveler favorite for years and offers fantastic canopy tours in Arenal and Monteverde. Whether you want to jump off a bridge on a bungee or raft through crazy rapids, Costa Rica has it all. Plan your Costa Rica vacation today to experience the best Costa Rica Adventure Tours out there!